Hey. I have a question. 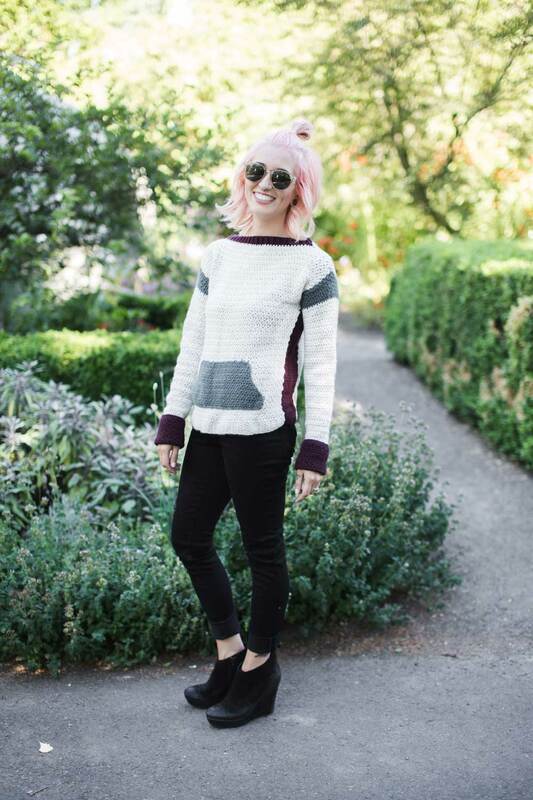 Want to crochet your OWN sweater?! The Brixton Sweater crochet pattern is a fun and trendy design making crochet cool again! Including cuffed sleeves, ribbed neckline and ideal color blocking, this really is a dreamy project! Honestly, every time I wear mine, I feel like I bought it at an actual store! Such a cute top! 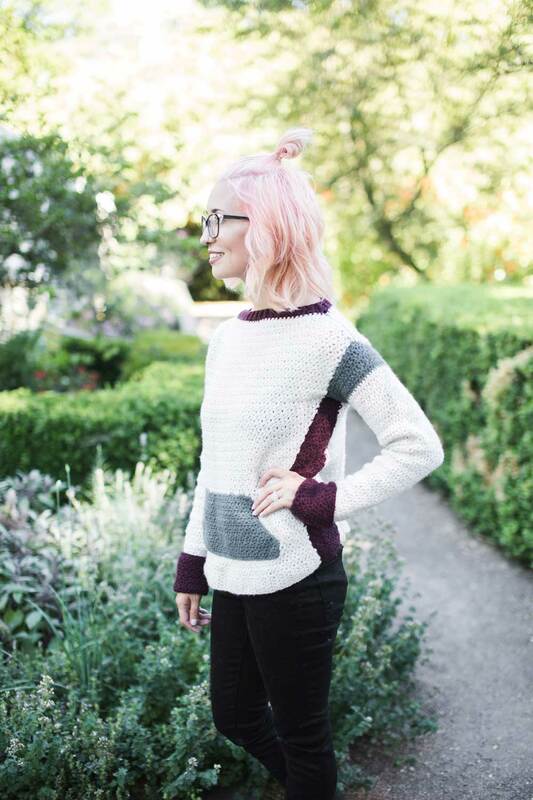 Explore new stitches and stay cozy cuddled up in a sweater that YOU made! This pattern is an INTERMEDIATE pattern, not advised for beginners.